Vision Operations (USA) (N) Transactions > Transactions Summary > (B) Adjust Receivables activities for tax adjustments must be set up first. 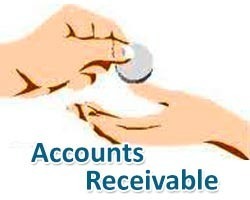 When you create a tax adjustment, Receivables automatically verifies that it is within your adjustment approval limits. - If within your assigned approval limit for the currency of that item, Receivables updates your customer’s balance to reflect the adjustment. - If outside your approval limits, Receivables creates a pending adjustment with a status of Pending Approval, which will need to be approved by a higher level employee with the proper approval limit. Any adjustments that have been applied to the tax lines of an invoice and cannot be claimed from the state, should use a Receivables activity where tax is not posted to a sales tax liability account (for example, bad debt write-offs of sales tax amounts).